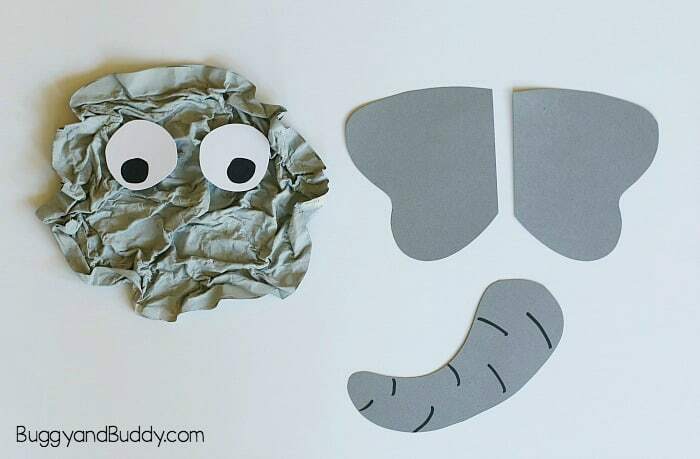 This elephant craft for kids uses a really unique technique and is an absolute blast for kids to make! 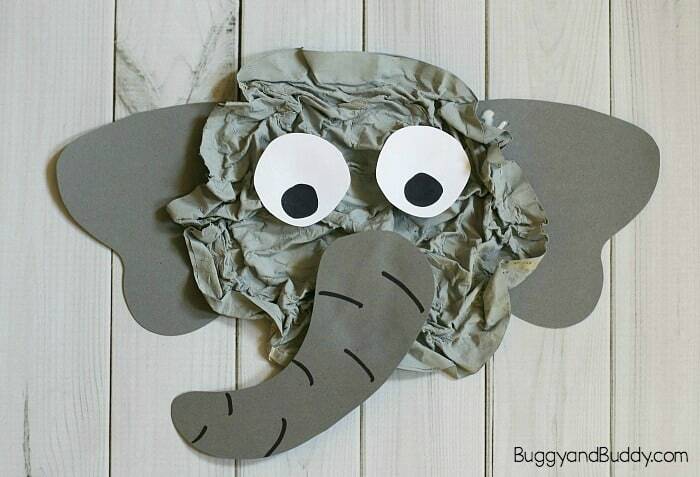 Children use newspaper to create a wrinkled effect- just like the actual skin of an elephant. 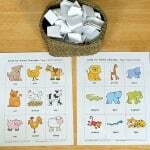 This art project includes a fun sensory aspect and is perfect for a unit on zoo animals, jungle animals, or to accompany children’s books about elephants. 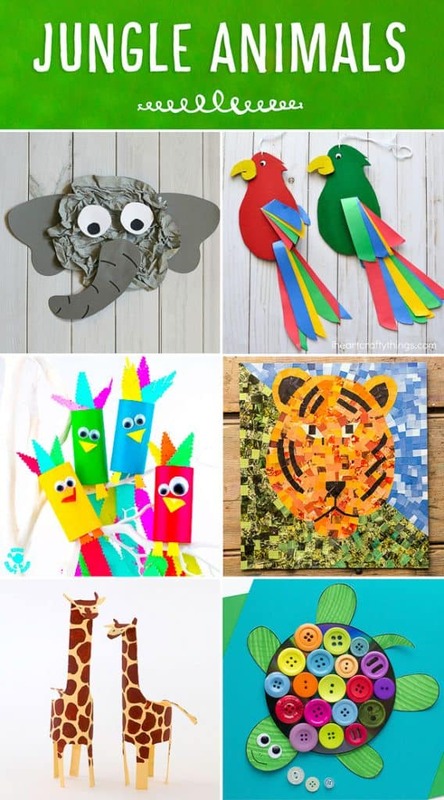 Today I’m teaming up again with some of my favorite craft bloggers for a super fun challenge- making jungle animals! Be sure to check them all out at the bottom of this page! 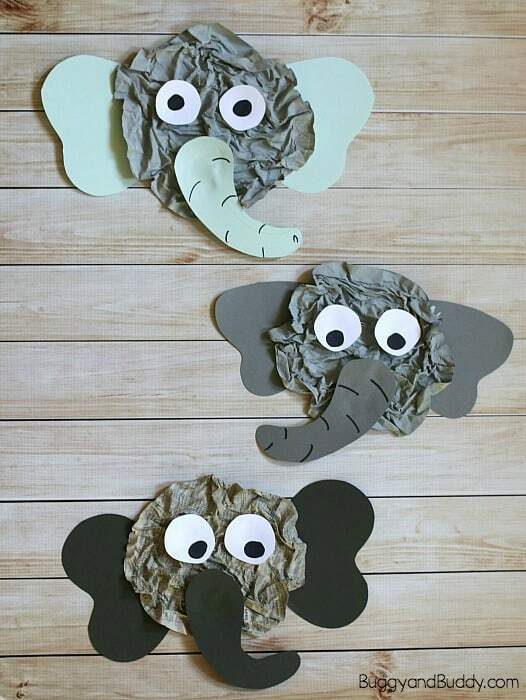 For this jungle animal challenge, the kids and I decided to make elephants using newspaper. 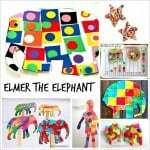 The technique used to make this elephant is basically simplified paper mache- but a lot less work and a lot less mess! 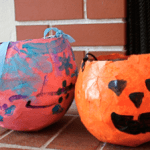 Kids always enjoy the process of creating the wrinkled and crumpled paper effect and get so excited to see the results when it dries. Be sure to check out the video at the end of the directions to help clarify the directions. 1. 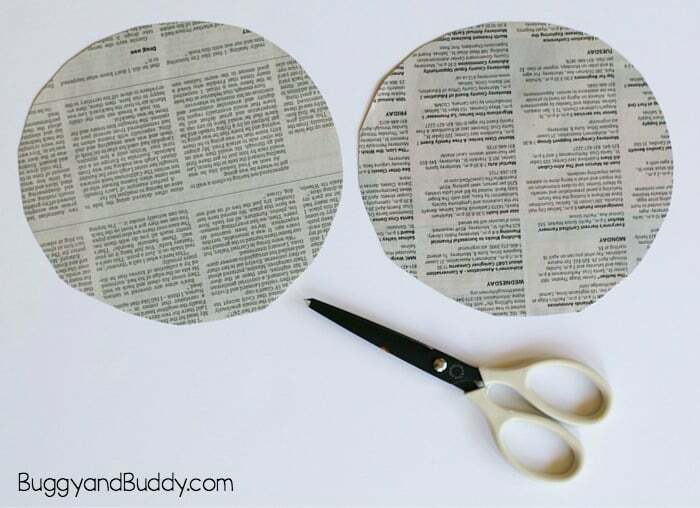 Cut out two circles with a diameter of about 7-8 inches from a sheet of newspaper. (I like to just stack the two sheets together and cut them out at the same time so they are identical.) 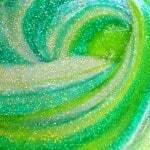 Don’t worry about making the circles perfectly round- you’ll be crumpling them up! 2. Create a flour paste by mixing 1/4 cup of flour with 1/4 cup of warm water in a bowl. 3. Use a paintbrush to spread the flour paste pretty liberally over one of the newspaper circles. 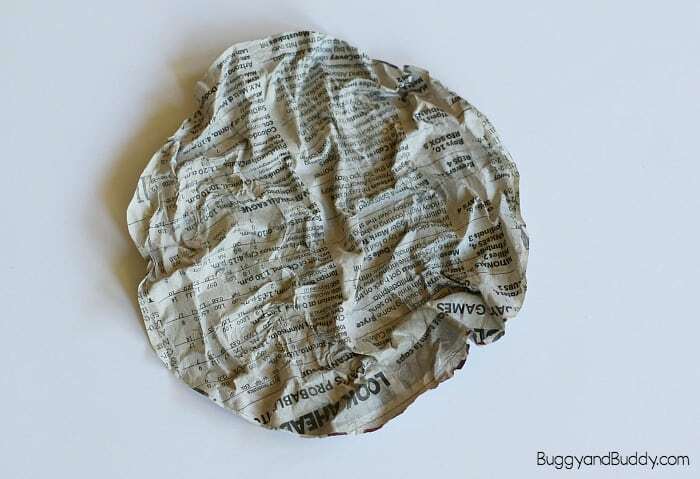 Place the second newspaper circle on top so you’ve basically created a sandwich of two newspaper circles with flour paste in between. 4. Press and rub the circles together to be sure they’ve stuck completely. 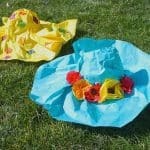 Now it’s time to make your elephant wrinkles! 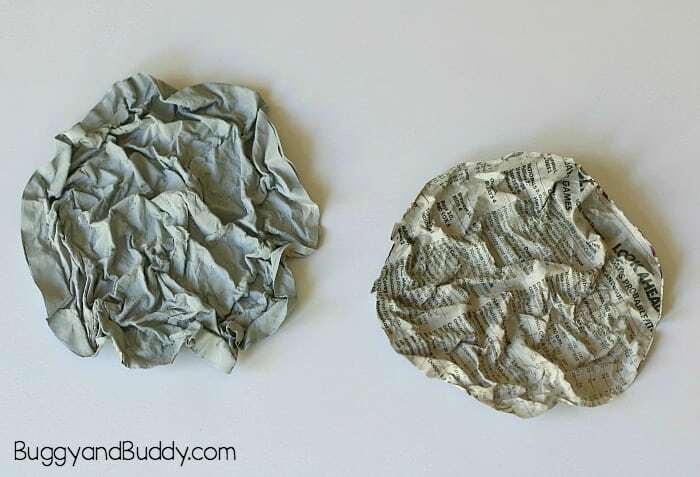 Crumple the newspaper sandwich up in your hands and then un-crumple it. Do this a few times. 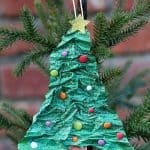 Add even more wrinkles to the newspaper by pinching and squeezing the it together in various places until you’re happy with the final look. 5. Let the newspaper dry overnight. The next day it will be completely solid! 7. 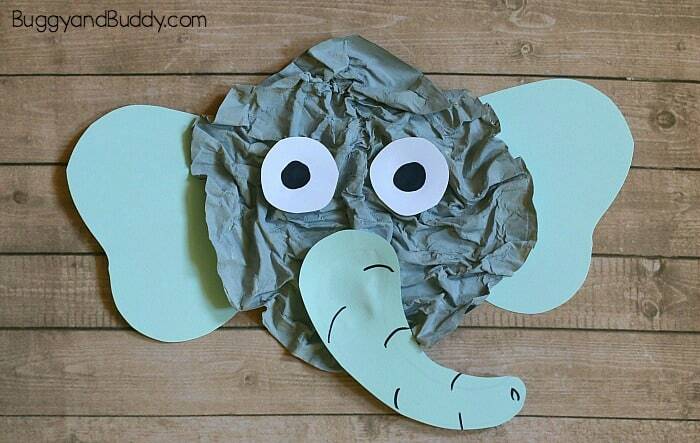 Cut out a trunk and two ears from construction paper or cardstock. 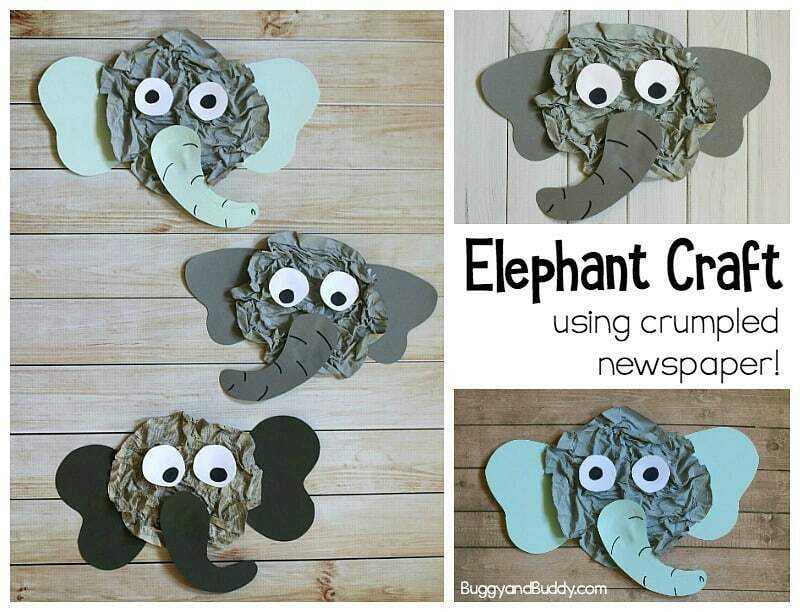 Glue them onto your elephant’s newspaper face. 8. Cut out two white eyes and draw black centers in them. Glue them to your elephant’s face. 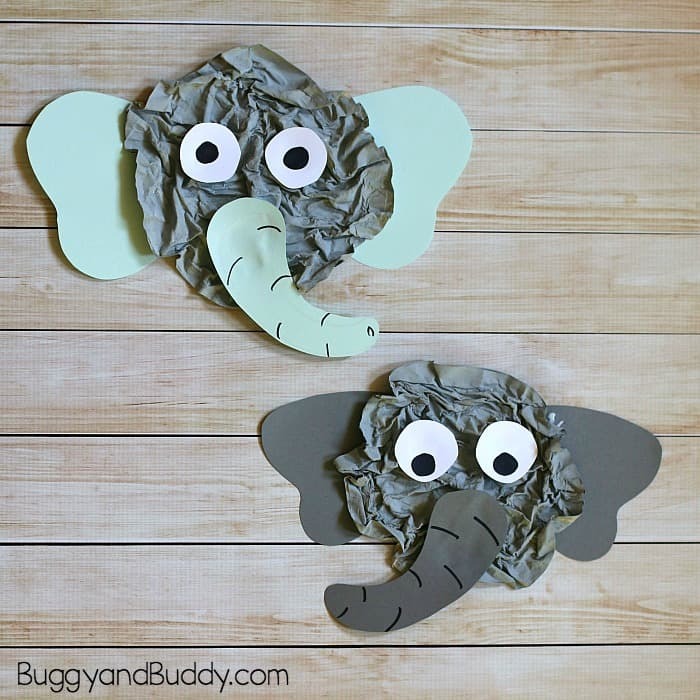 Display your finished elephant craft! OMG!!! That is so cool! I love it so much! 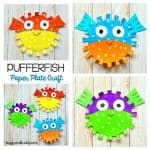 I loved this craft!! 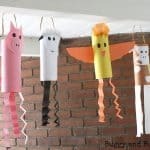 They’re actually simpler than it looks, my kids will sure love it too. Stunning, simple yet effective idea. Thank you.